Tow Truck Insurance Houston – Great Rates, Great Service! Looking for great rates on Tow Truck Insurance in Houston and the surrounding areas? Then look no further than Pathway Insurance. Give us a call toll free at 800-998-0662 to speak with one of our licensed insurance agents today. Click on Tow Truck Insurance Houston to submit your information online. Pathway Insurance offers competitive rates on Tow Truck Insurance in Houston, Dallas, Austin, San Antonio, and all over the State of Texas. Shopping for Tow Truck Insurance in Houston Can Be Hard! The truth is, a fairly small portion of insurance companies offer commercial tow truck insurance, so it can be difficult to find even for operations whose towing services make up only a small section of their business. There are hundreds of insurance providers in Texas, but only a small fraction of them are willing to insure tow trucks. In fact, many of the big name insurance companies that I’m sure you’ve seen advertising on television avoid underwriting tow truck insurance. But not us. At Pathway Insurance, we’re ready to help you find the tow truck insurance that fits your needs. Click Tow Truck Insurance Houston Tx to get started. Why Don’t Many Insurance Companies Sell Tow Truck Coverage? Simply put, most insurance companies think it’s not worth the risk. The trend tends to be that costs for paying out tow truck claims are generally higher than claims costs for other forms of commercial trucking. Many insurance providers feel it affects their bottom line, so most avoid it altogether. We’re not scared, though. Pathway can provide coverage for towing services, auto dealerships, and repair garages. But there are some things you should be aware of. Texas Tow Truck Insurance – Is Repo Work Covered? 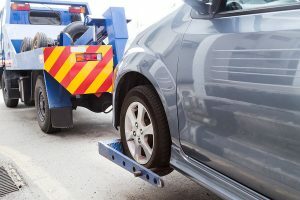 One big caveat you should understand is that, though it’s not impossible, repossession towing can be especially difficult to find coverage for. In order to predict whether repo work will factor into your insurance premiums, you have to look at your business’ annual income. If repo constitutes less than ten percent of your total annual business, you shouldn’t have any trouble finding insurance providers willing to extend coverage to your towing operation. Any more than ten percent, however, dramatically shrinks the pool of insurers willing to provide coverage. That’s not to say there are none; we can always help you find coverage. But be cognizant of the fact that the premiums for towing operations who do a lot of repo are going to be notably higher than the norm. Tow Truck Insurance Houston – Let Us Help You. The agents at Pathway Insurance are available to help you find the answers to questions such as the ones we’ve discussed in today’s article. As experienced veterans of the insurance business, our agency is equipped to help you find a policy that is a great fit for your company. You can submit your information to us online seven days a week by clicking Houston Tow Truck Insurance, or contact us by phone Monday through Friday toll free at 800-998-0662.